Step 1. Let us know what your needs are so we can point you towards what will best meet your needs. Step 2. Once you’ve found the best solution to satisfy your needs, place your order. We typically require a 20% deposit, unless you sign up for our Rent-To-Own Program. Step 3. Your salesperson will let you know the timeframe for your structure’s delivery and will call you once it’s ready. Step 4. We deliver your product. The balance owed is due upon delivery, unless you’ve signed up for our Rent-To-Own Program. Step 5. Enjoy your Helmuth Shed for years and years to come! Delivery is free within 50 miles of our Harrisonburg shop. If you are more than 50 miles away we will charge $3/loaded mile. 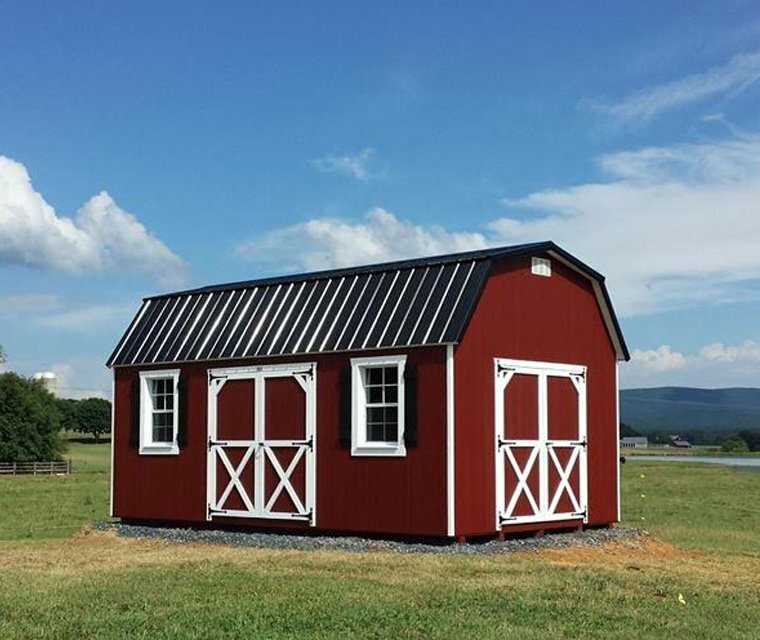 If we are delivering a 14′ wide building to your site, extra charges will be applied. Extra charges may also apply if you are outside of the state of Virginia. We will deliver to your prepared site with no extra set up fees. We will deliver to your prepared site with no extra setup fees. – We will prepare a gravel pad for your building – average rates for a gravel pad are $3-$5/sq.ft. Learn more about our expert gravel and concrete Pad Work services here and/or ask your Helmuth sales rep for a quote. – If needed, we will block and level your building. The first four (4) blocks will be free. If you need more than four blocks to level your shed we will charge $4/block. – With the purchase of your unit you will also receive 30 minutes of delivery time. If a delivery takes longer than 30 minutes we will charge, $120/hr. If you have properly prepared your site, this charge will not be necessary. Our Pad Work experts can also prepare your site for you. Click here to learn more. – A gravel pad is always a better option than blocking.